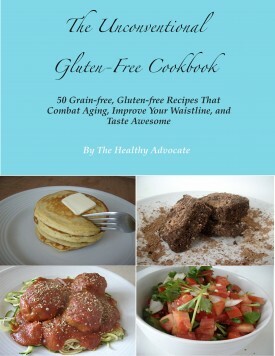 These strawberry muffins are actually from my newest online cookbook, The Unconventional Gluten-free Cookbook. 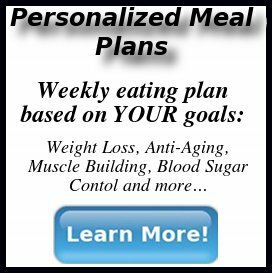 In it, I give more in depth analysis of the nutrition information of my recipes (which include chocolate cake, Paleo meatloaf, new green smoothies and more), including some cooking secrets never before shared on this blog. Spring is quickly approaching, and there is a warmth that is going around that is awakening the seeds and enlivening the taste buds. It just isn’t spring, at least it isn’t for me, without homemade gluten-free strawberry muffins. These strawberry muffins are made with gluten-free and grain-free coconut flour, full of fiber and protein. Also, it features an antioxidant rich berry that is easy to grow in the garden (I suggest doing so!) and perfect for spring and summer salads, smoothies and baked goods. To be honest, I actually enjoy these strawberry muffins without meringue frosting, but feel free to try it out! Making meringue can be a challenge at times, but it can be done, and this strawberry meringue frosting is incredibly tasty and rewarding. 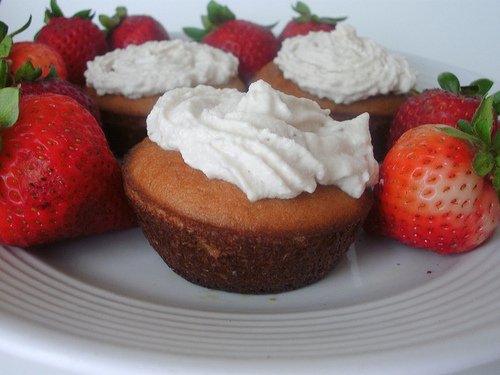 Gluten-free strawberry muffins made with fiber and protein rich coconut flour. A perfect grain-free, Paleo dessert or snack. In a medium mixing bowl, sift together the coconut flour, baking powder, salt, xylitol or coconut palm sugar and stevia. Set aside. Blend the eggs, melted coconut oil and vanilla extract together until combined. Pour egg mixture into flour mixture and whisk until thoroughly combined. Fill 12-16 muffin liners ¾ of the way full and place in a 350 degree oven for 25 minutes, or until slightly golden and firm to the touch. Let cool while preparing the meringue frosting. In a medium bowl, combine egg white and xylitol or coconut palm sugar. Set bowl over a pot of simmering water and stir quickly to let the xylitol or coconut palm sugar dissolve. With an electric mixer, beat the egg mixture on high until it becomes stiff and forms peaks. Continue beating for another 4 minutes. Add shortening or butter, one tablespoon at a time, beating after each addition (if it separates, don't worry--keep beating until it comes together). Sewcraftymom helped inspire these delicious strawberry muffins. Thank you to Martha Stewart Recipes for providing the inspiration to the meringue frosting. Speaking of spring (with these sweet gluten-free strawberry muffins aside), it’s about time to start working in the garden. I’ve already started raising my bed and working my way into the soil. It feels so good to get back into the sun, being in touch with the earth again. It’s the one thing I’ve missed during the winter months. What are you growing this year? You are currently reading "Strawberry Muffins"